There is perhaps nothing more stunning than watching a giant school of fish move through the water column in a display reminiscent of a large, pulsating organism. 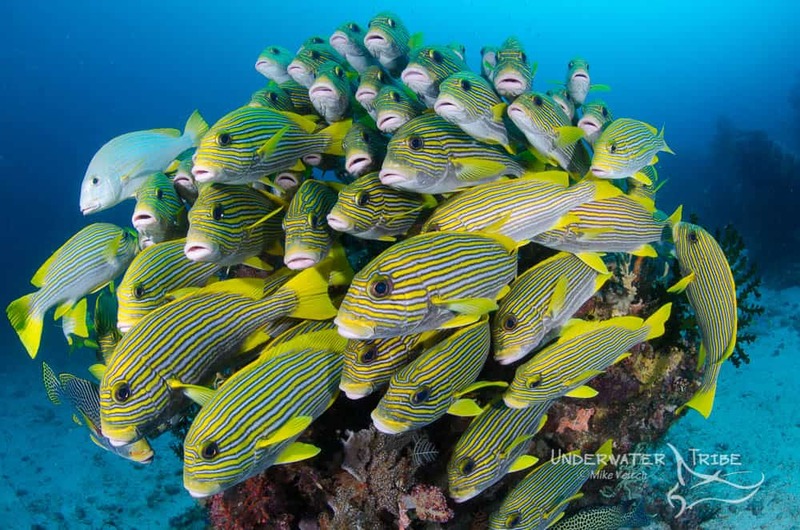 Schooling fish have an uncanny ability to seemingly “move as one”, which helps them to ward off predators by appearing larger than a single individual. As incredible as it is to watch in person, capturing interesting photographs of schooling fish is not as easy as it would seem. 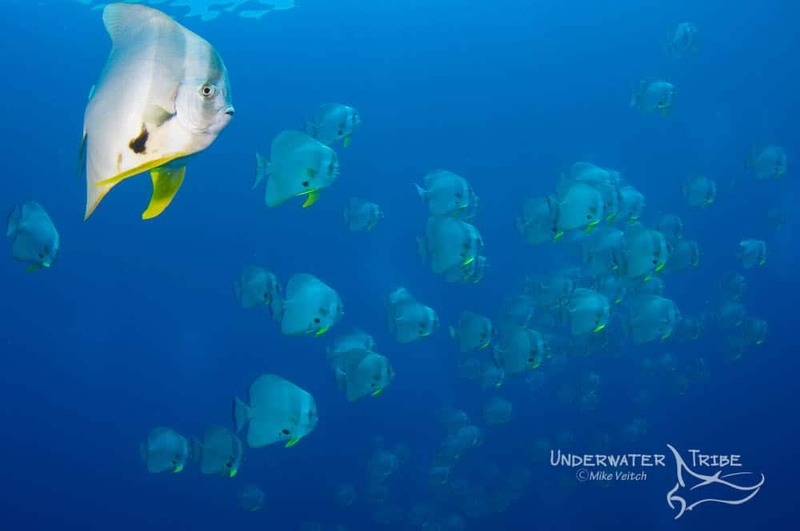 Here are a few tips and tricks to capturing great photographs of schooling fish. Try to capture “eye contact” with leading members of the school in order to create a sense of interaction. 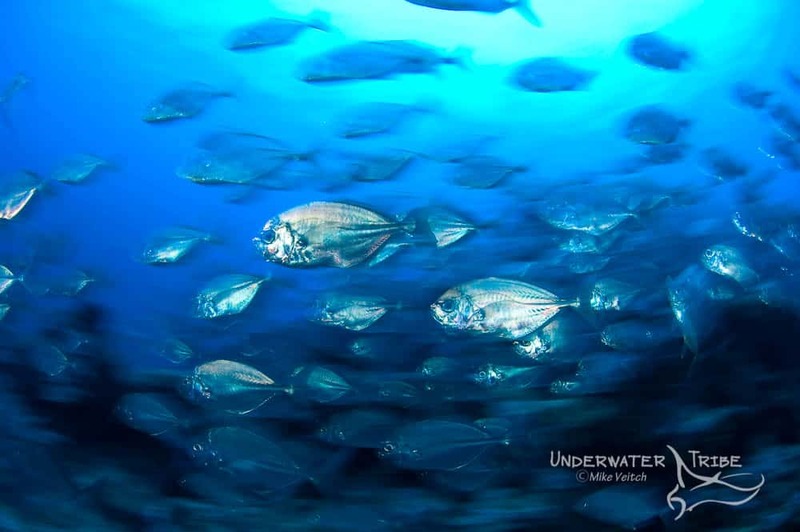 The most inspiring images of schooling fish tend to have the fish swimming in the same direction. By swimming in a relaxed manner, photographers can slowly get close to schools. Don’t rush straight at the fish or this will result in them scattering across the reef. 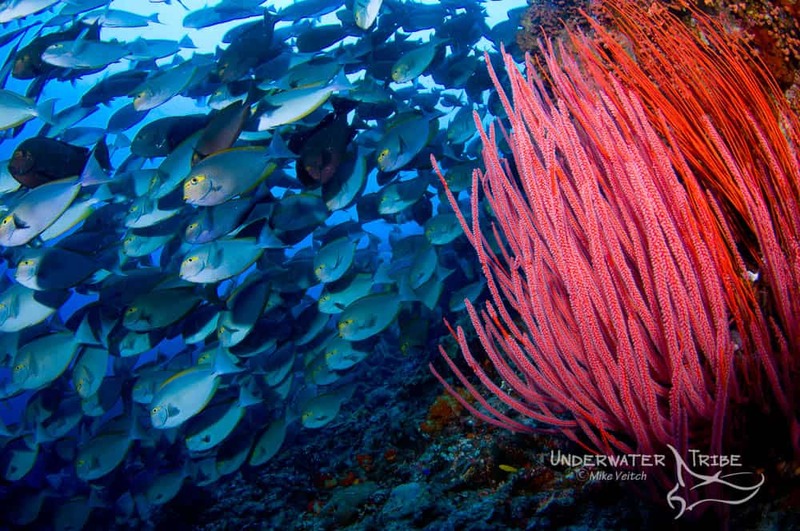 Many fish don’t feature very bright colouration such as jacks, barracuda, and several species of surgeonfish. 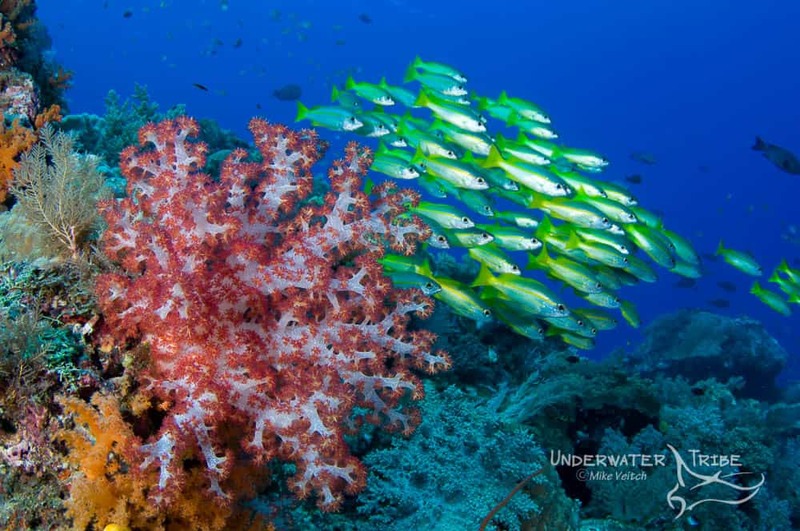 In order to capture a stunning photo of bland coloured fish, try to include brightly coloured reef or corals in the foreground. 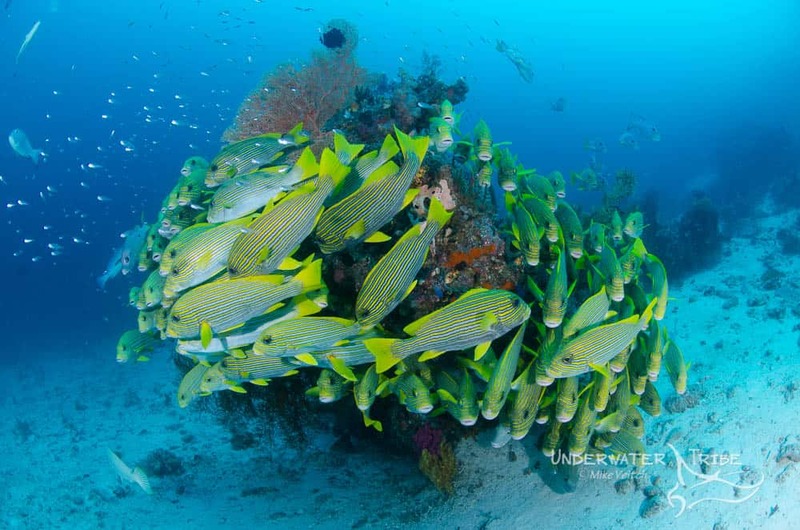 Use the schooling fish as the “background” of your photo. When it comes to composing wide angle photographs, having “Near and Far” compositional elements in the frame is always a winning combination. With this advice in mind, try to find a complementary foreground subject to illuminate with the fish as background. Try to add a sense of movement by varying shutter speeds, a slow shutter speed can create a touch of motion blur that creates the idea that the fish are moving. 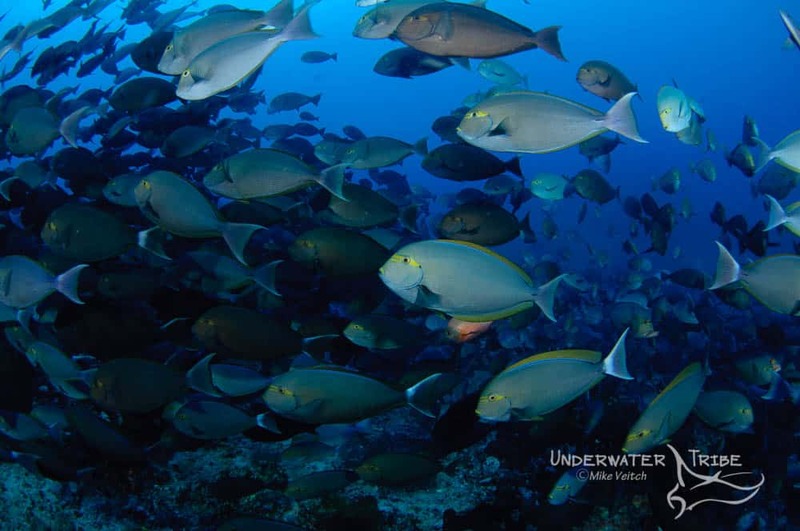 That’s it, a quick set of 5 tips to help improve your schooling fish underwater photography. Try these tips on your next holiday and let us know about your results.